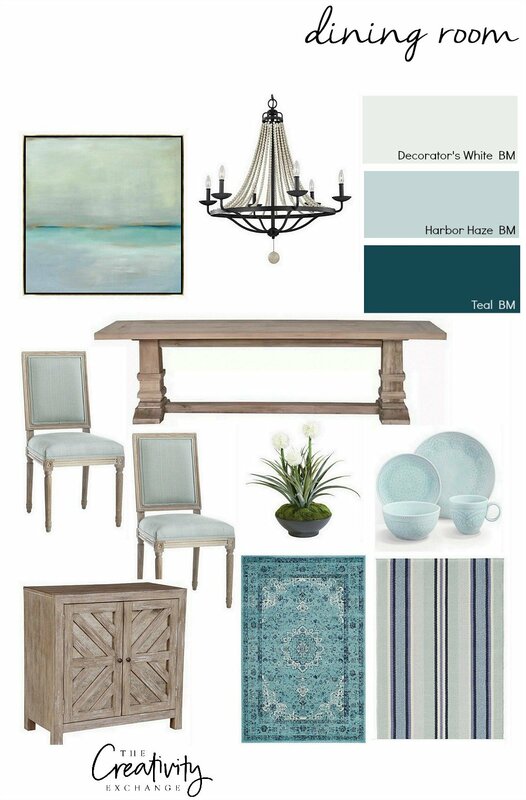 It’s time for another Moody Monday and today, I wanted to share some tips for layering a versatile dining room that key accent pieces can be easily switched out seasonally or when you’re want to change colors and styles. First, let’s jump into today’s mood/design board and all the product sources that you can find directly below the board (affiliate links). When it comes to my own spaces or my client spaces, I always try to make sure the space is transitional and versatile. Transitional can mean many things but in general, it means that the colors, wood tones and finishes in a space would be versatile enough to work with any colors. I also consider furniture/accent styles when creating transitional spaces. I try and keep furniture styles traditional (not too modern or rustic) as well, which can also help to keep a space versatile over the years. If you have plans to buy new dining room furniture anytime soon, I highly recommend choosing a wood tone and style that is traditional. Dining room furniture is expensive and if you start with a traditional foundation with your furniture, you can change your decor style and colors very easily and you’re not backed into a corner a couple years down the line with one certain decor style. You can’t go wrong with a traditional dining table like this lighter wood toned double pedestal table like this one that I found on Wayfair. 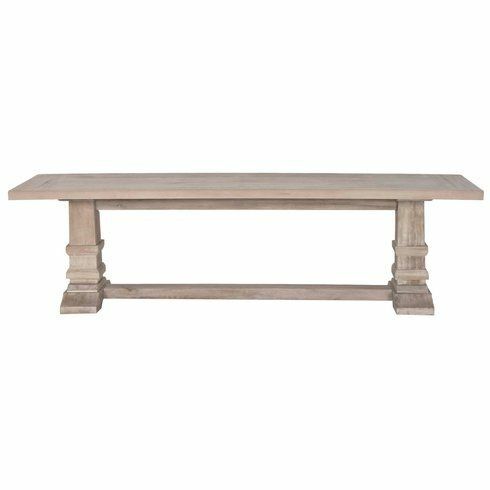 This traditional double pedestal table will always be around for years to come and while the table is a lighter natural wood look, it’s still transitional because it can be mixed with darker wood tones and work beautifully. Natural light tables like this are really popular right now because they are so versatile and can be used more formally or casually. Another thing to look for when it comes to dining room furniture are storage pieces. Instead of choosing a console table or buffet that has little to no storage, you’ll get a lot more bang for your buck if your dining furniture has lots of storage. 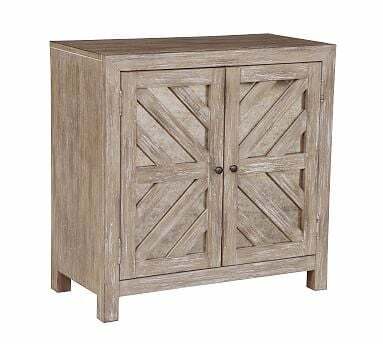 If you have a small dining room, a storage cabinet like this one below from Pottery Barn has so many possible uses in the dining room and the best part is it has lots of closed storage. By the way, this cabinet would make for a great bar! Again, this particular cabinet style is still traditional and will always be in style and transitional. The great thing about choosing dining chairs is that there are so many choices today and they can be bought separately. So if you’re not a fan of the chairs that may be a set to your dining table, there are so many other great dining chairs on the market to choose from. When it comes to choosing a color palette for a dining room, I always like to start by finding color inspiration in either art or rugs. In a transitional space, finding rugs and art that at least has a couple anchor colors in it like navy, black, white, gray, ect., is a great way to begin layering a versatile space. 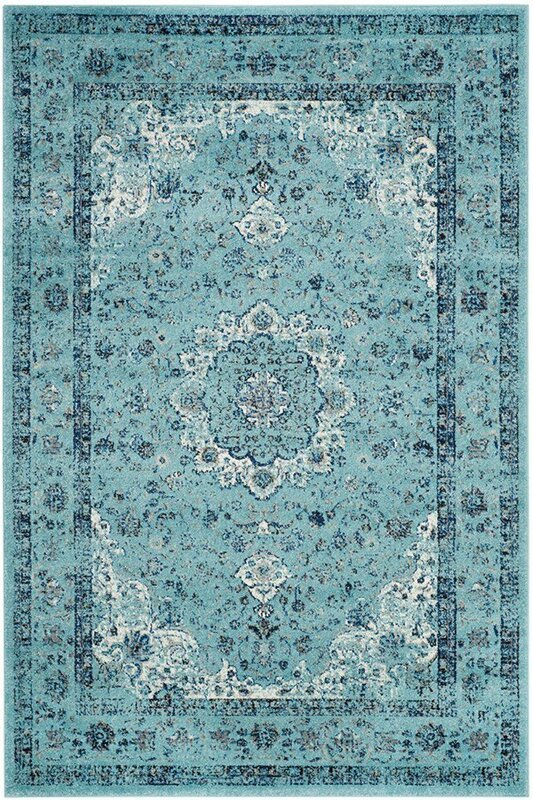 Even though the rug above has a lighter shade of blue, the navy, white and gray are grounding colors that make this rug work for transitional spaces. So look for a rug that has some grounding neutrals if you want more color accent possibilities. It works the same way when choosing art for a transitional space. 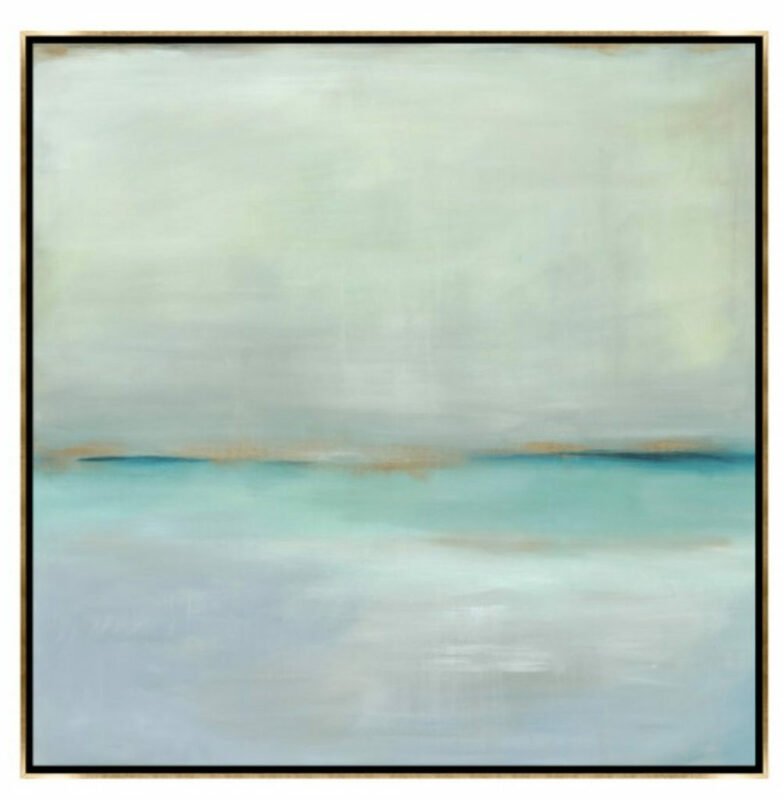 While this painting below has some non-neutral colors, there are some grounding blues (at the bottom of the painting) and almost white shades found in the painting making this piece a transitional piece. There are limitless color accent possibilities to work with this piece. If you choose both transitional furniture and rug/art, you can easily switch out accent colors down the line and you’re not cornered with just one set of colors. Having color flexibility is the best way to ensure that you create a versatile and timeless space that you will love for years to come! If you want to see more of my design boards, check out my past Moody Mondays here. Great post Cyndy. I recently sold all of my dark, Englishy dining room furniture and replaced it with a similar table and storage console. Those updated and lighter pieces along with the new chandelier make so much difference! It sometimes is hard to let go of family heirlooms, but the whole mood of the room is brighter now.